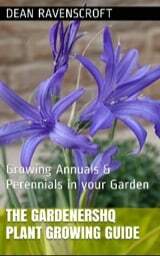 Welcome to the Growing plants genus index H-L section of the GardenersHQ website. Hacquetia. USDA hardiness zone: 4-9. Members of the Hibiscus genus can be either half-hardy annuals or perennials. USDA hardiness zone: 3-10. Hosta is a genus of hardy perennials which includes species such as Plantain lily, Day Lily, and Funkia. USDA hardiness zone: 3-9.